And I haven’t even tried the pupuseria down the street yet. 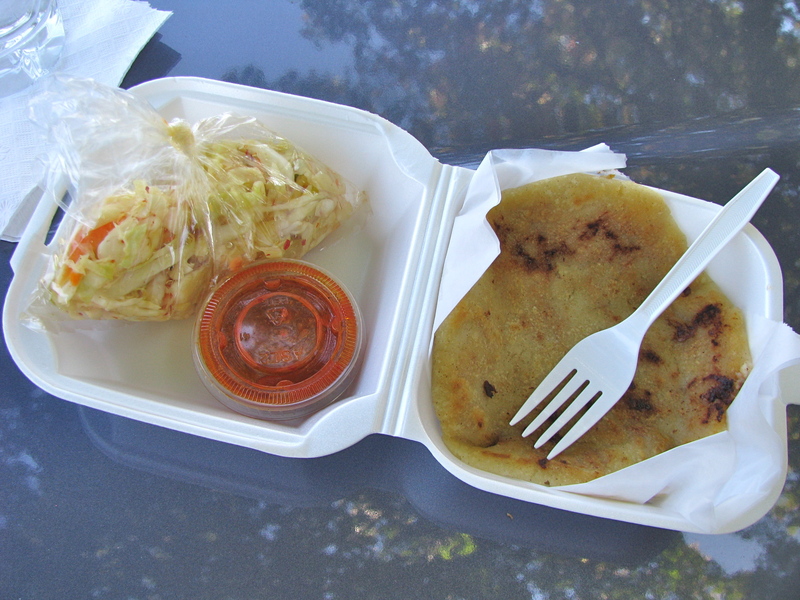 I would have to try the loroco pupusa. My wife and I stopped by here last (HOT!) Friday night. The chicharron and pollo pupusas were fabulous! This truck is going heavy in our rotation. Keep up the good work tacotruckscolumbus! Thanks, and glad you enjoyed! I’ve been twice in May/June 2011, as recently as Saturday the 25th June and they were still operational. Given that it takes 15 minutes to get an order in, I like calling ahead to the 2678 number. This truck has been decommissioned as of this time. 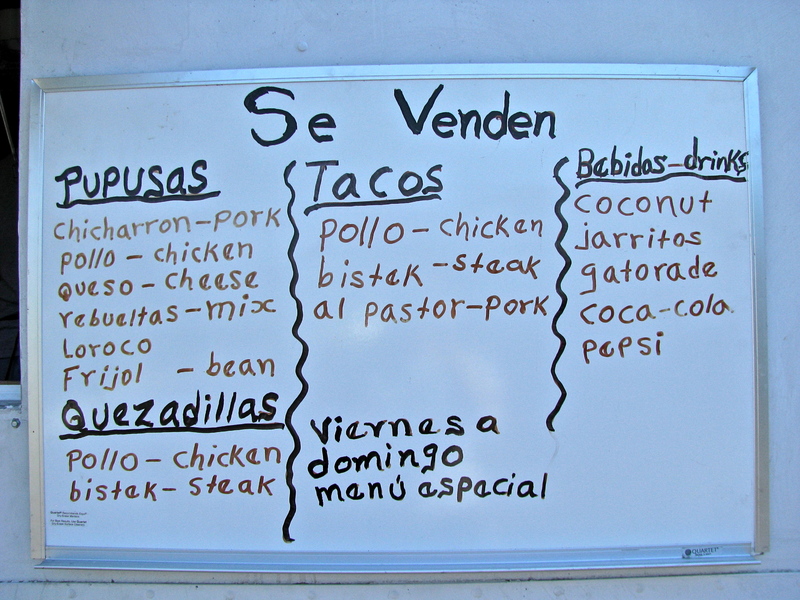 The truck taking over its space next to the Cabana nightclub is ‘el taco peton’. 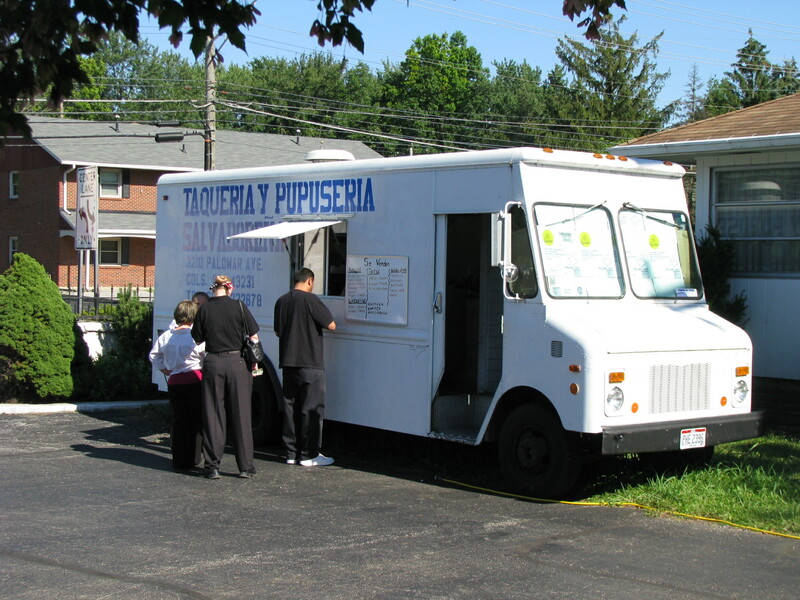 They serve pupusas, as well as a full list of other options. Their phone is 614-537-1311, and their business card indicates they roast mutton (borrego) on Sundays.